Sometime last year I asked at wanshygirl on instagram a few questions about what her service year was like, as i was in a bit of a fix at the time and that’s what brought about the idea to share the experiences of a few people on my timeline and i’m so grateful that they were all willing and happy to share. I’m Ebun Bello, Graduate of Mass Communication, Fashion and Lifestyle blogger at wanshygirl.wordpress.com and all-around creative. I’m obsessed with fashion, food and the internet. *When and where did you national youth service take place? I was called up for the 1 year compulsory National Youth Service Corps in April 2016. I served my fatherland in a town called Ilobu located in Osun, State. *What was your experience moving into the city you served in? My place of primary assignment wasn’t exactly a city so let’s go with “the town”. Moving into a new environment was quite challenging. Btw this was my first time living far away from home as I’ve spent most of my life in Lagos State. I had to speak more of my local language, fetch water from a well, commute to the city to get cash and essentials. It wasn’t a life of comfort yet it humbled me. 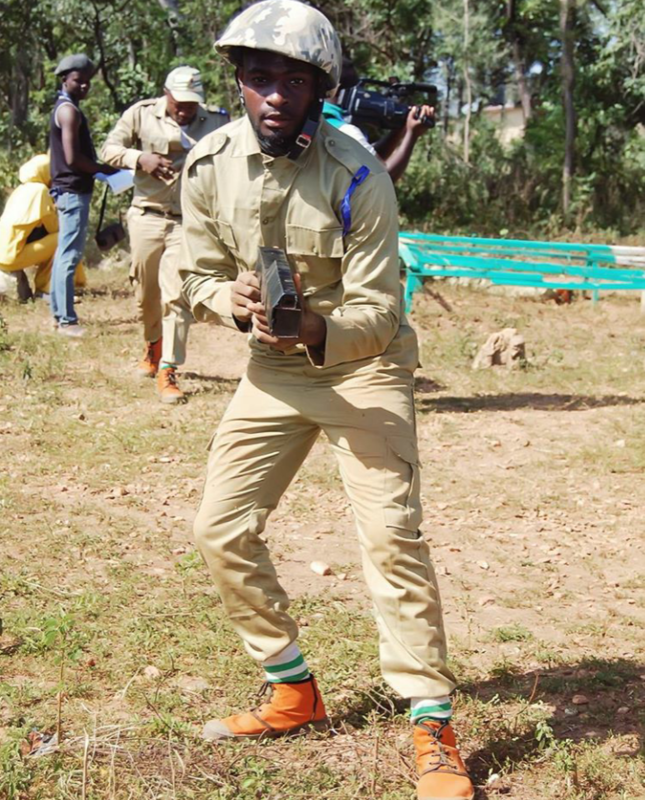 *What was your working experience as a YOUTH CORPER? As a youth corp member, part of your service requirement is to work in one sector of the country. I was hoping to work in a media house since I studied Mass Communication. Unfortunately, I was posted to a high school and given the post of English Language tutor. Prior to that, I did not have any teaching experience so you can imagine how terrified I was. I gave it to God and saw it as an opportunity to do something different. It wasn’t a smooth ride in the beginning yet with time I got the hang of it. I even became a fave among the students as they didn’t want me to leave at the end of the service year. How well did you adjust to the school life vs work life Change? It didn’t take so long. I had friends from home who were posted to the same state, they pretty much schooled me and gave me tips and tricks. Within a month I had settled in. Also, my landlord, landlady and co-tenants (also corpers) were warm and welcoming and made us feel at home. 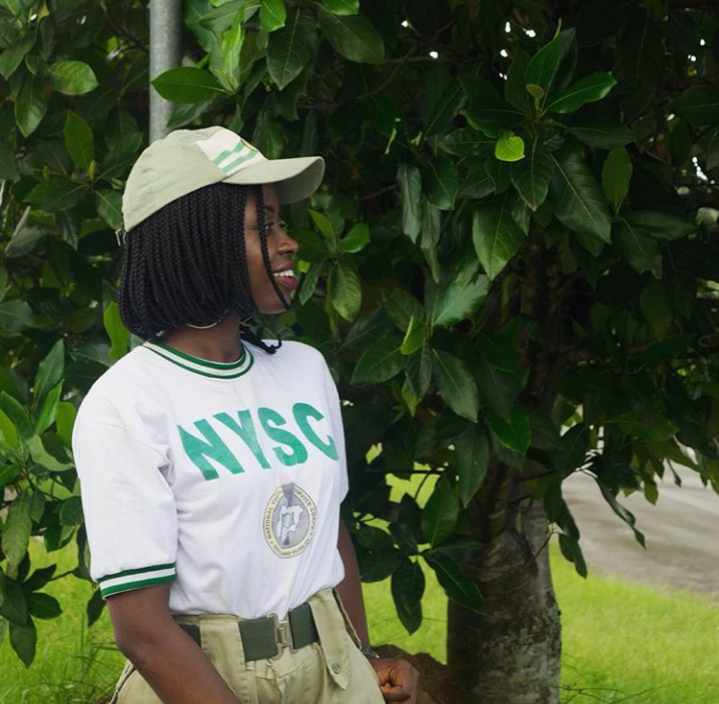 *Highlights of your Nysc experience? – Making new friends, not just any type of friends but friends that helped me grow in every aspect of life. – Visiting one of Nigeria’s tourism sites – Olumirin Waterfalls, Erin Ijesa. *If you were to change something about your Nysc experience what would it be? My place of employment – I’ll have loved to work in a media house. 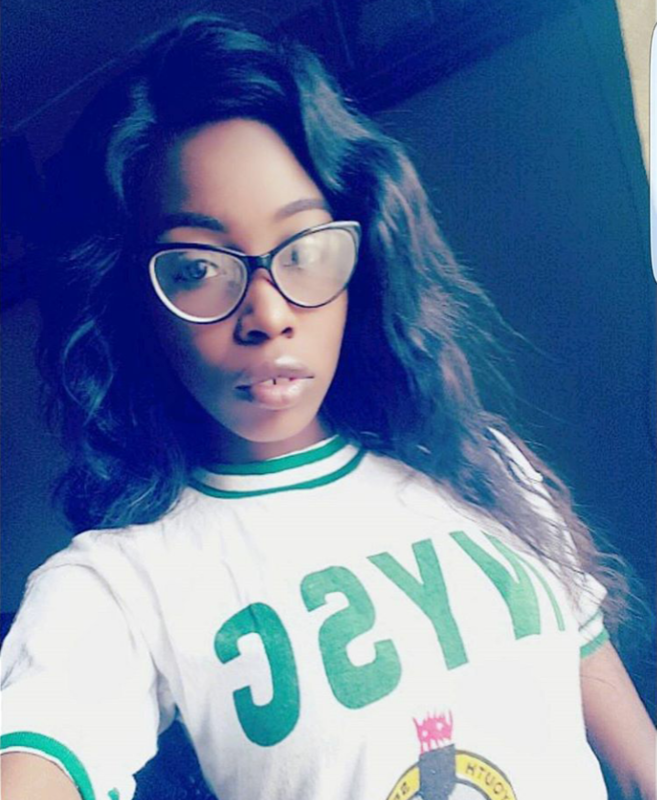 *Do you think NYSC should be scrapped or sustained? Why? Tbh this is one issue we’ll always go back and forth on. I’ll be on the fence on this but all I’ll say is we can do better. My name is Sarah Audu, I’m a social media manager/journalist by day and a blogger always. *When and where did your national youth service take place ? My experience was awesome. I loved it there honestly and still miss it. Moving to a new city was made easy thanks to my awesome host family who took me in as their daughter. I miss the calmness of the city compared to Abuja and I loved all the Colonial buildings that kept feeding my eyes. I also miss all those delicious soups my aunt used to prepare too, you all know my Efik people carry first when it comes to Nigerian food. 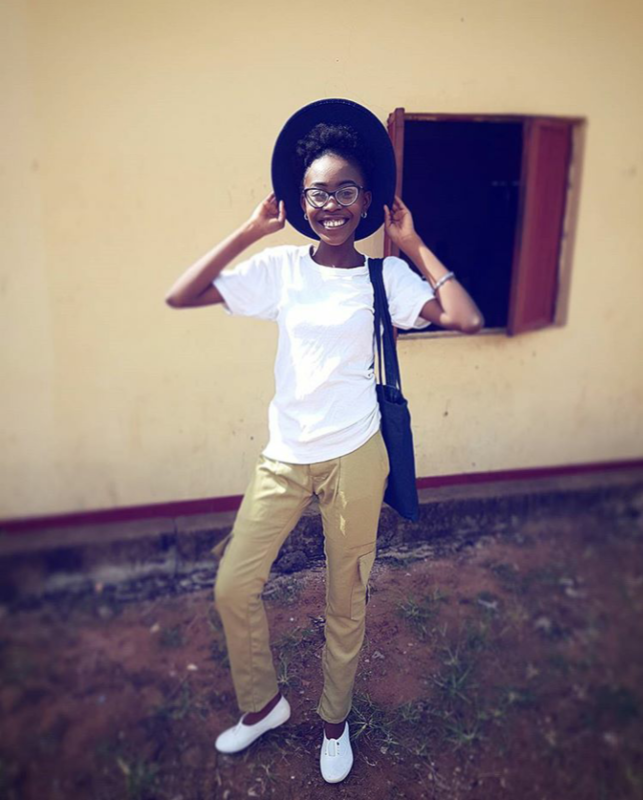 *What was your working experience as a YOUTH CORPER? I’m so thankful for my experience serving at the first private radio station in Calabar seeing as it was related to my discipline in Communications. It also shaped my career and helped me build up my experience on my CV. I honestly worked like a proper employee which really made my service year beneficial and not a waste like a lot of my friends. and how well did you adjust into the school life vs work life Change? 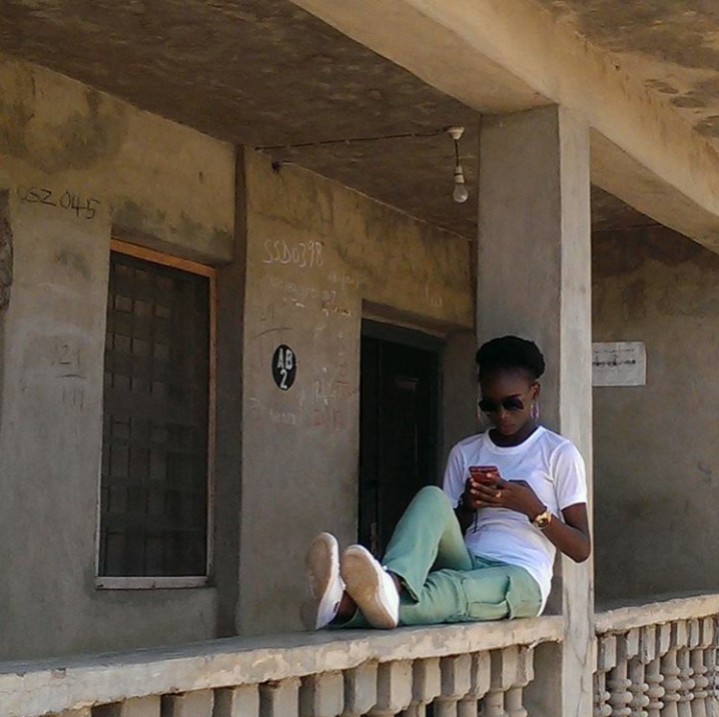 It wasn’t as challenging, as prior to my NYSC, I had already spent sometime in the 9-5 life. Also with media, you work in shifts so it’s not as stressful. Well except if you count working on weekends and public holidays which really takes adjusting too. A highlight was being able to explore a part of nigeria that I’ve never been too. It exposed me to a new culture too esepcially when you talk food. I also served in a worthwhile place where I made close friends (who I still keep in touch with) and built myself as a media person. Based on my experience I would say absolutely not. A lot of people have actually been gainfully employed through this. Three colleagues that I served with were employed fully at the station. Now I wasn’t retained but it made getting a job easier due to my experience. I just feel the system needs to by revised. People need to be posted to places where they can be useful. Also perhaps it should not be compulsory and I’d scrap camp too because it’s not worth all that stress esepcially with those horrible conditions (toilet). *When and where did your national youth service take place? Kwara state, Ilorin South, Ministry of Housing and Urban Development. The 6 hrs from Lagos to Ilorin was The longest journey I have ever been on. Settling in Ilorin, well finding an apartment there wasn’t easy at all, the first apartment I found the landlord try to scam me, apparently the initial tenant had been away for long without stating wen he would be back, long story short the tenant moved back in a day before I was supposed to move in. It took the special grace of God and the power of the baruten 222 battalion soldiers for me to get my rent money back and then sum😁. I won’t exactly say it was an experience, almost didn’t learn anything, I had to beg to be taken on site visitation because the officer in charge didn’t want to share the mobilization fee with me. *And how well did you adjust into the school life vs work life Change? I wouldn’t say I needed much adjusting, I was eager to work. At first it was boring no friends, new neighborhood. Life changed when I became an active member if my CDS (assistant provost), then I went on to become the president of my cds. I and my CDS members contributed immensely to the objectives of my CDs group such as sensitization of public schools and market people, carrying out sanitation exercises and a creating billboard on the importance of proper hygiene and sanitation. Also, I had weekly visitation to fun places in Ilorin, like the museum, Ilorin zoo, water view, clubs, the mall, lounges, pools, you name it, if its in Ilorin, I was there. Nothing really, I had fun. Scrapped, definitely. Its a total waste of government resources. Many people loose alot of job opportunities because they do not have NYSC certificate. My name is Tosin Olaniyi. I am a Digital Content Creator for Lifestyle, food and travel brands. I obliged to the National Youth Service between January 2017 and December 2017. I served in Ekiti state – Ado Ekiti (the state capital), to be precise. In the beginning, I had mixed feelings. It wasn’t so strange because my mum is from Ekiti so I had quite a number of family members to relate with. However, considering the fact that I was away from a whole lot of comfort and resources for my blog, there were sometimes I wanted to give up but I kept pushing. After school in 2016, I was working on my own as a content creator, so the transition from school to working during NYSC wasn’t so difficult. Though, the money wasn’t much, I was happy. NYSC kinda took that away from me because I had to struggle to get my online jobs yet wake up every morning to go to a job that I was completely sad about. It led to a series of mini depression episodes but I’m glad that’s over now. I wouldn’t even register for NYSC and if I did, I’d serve in Lagos. I think it shouldn’t be compulsory. It should be a voluntary scheme. Not everyone wants to be thrown in a completely different environment form what they’re used to and enjoy it. Some people even die in the process. I definitely found reading all the experiences interesting as it has reminded me how important it is to make the best of whatever place/ situation we find ourselves in. I love Ebun’ s highlights, positively impacting on the lives of over 200 students a feat most may never achieve because we do not want to teach during Nysc or ever. I also really like how an Nysc job which usually isn’t taken seriously helped shape Sarah’s career and build up her cv. Your service year can be useful. Bowale’s immense contribution to his community development service group is spurring me to do more in the few months I have left. Sometimes it’s not what our community can do for us but what we can do for our community. It’s a year of service after all. I have always known how important a support system/backbone is in making things easier and Tosins experience has further reinforced that. 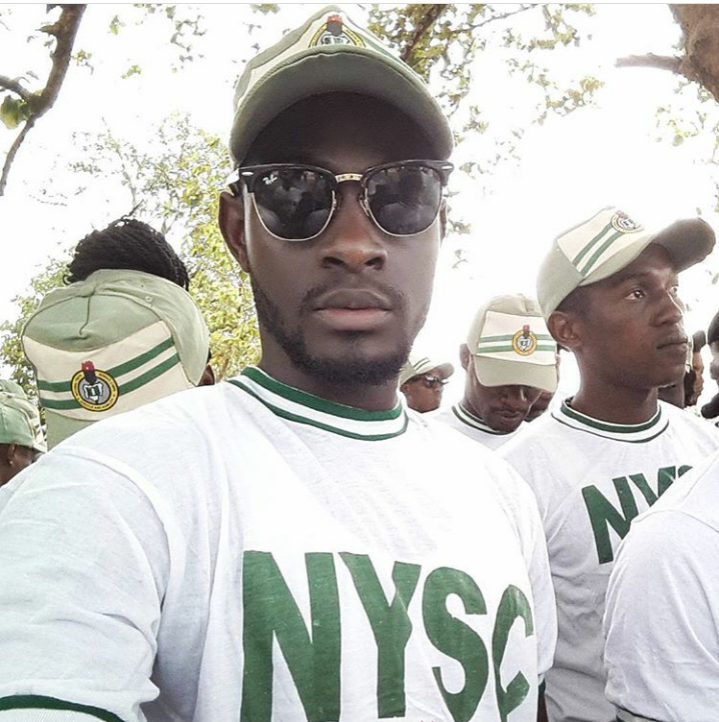 Thanks to everyone who shared their Nysc experience, I learnt more than a few things and I hope whoever is reading this takes something away from each of these experiences. If you are a prospective corper i’d like to know if you found this post useful. If you are currently serving let’s know what your experience is like so far, and if you are done serving, tell us how it went. I look forward to reading from you. 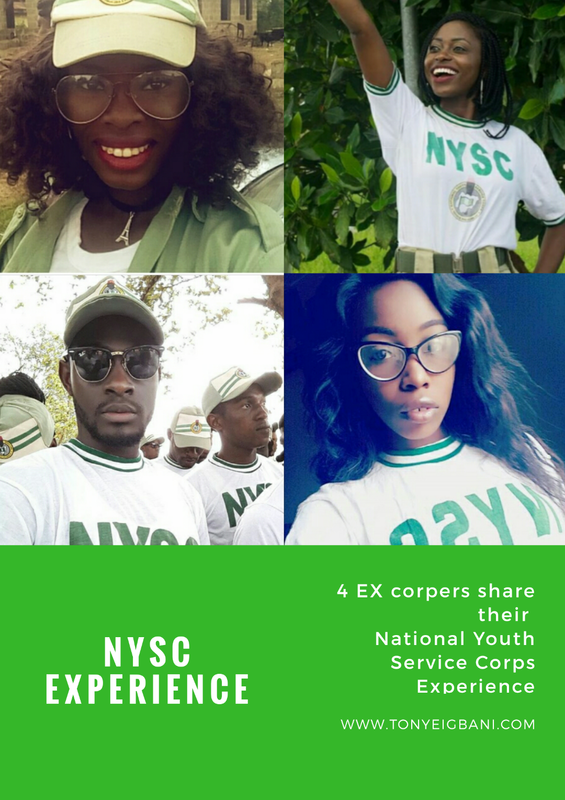 click each name to find Nysc related posts on their blogs and click their Instagram handles to be directed straight to their Instagram page. 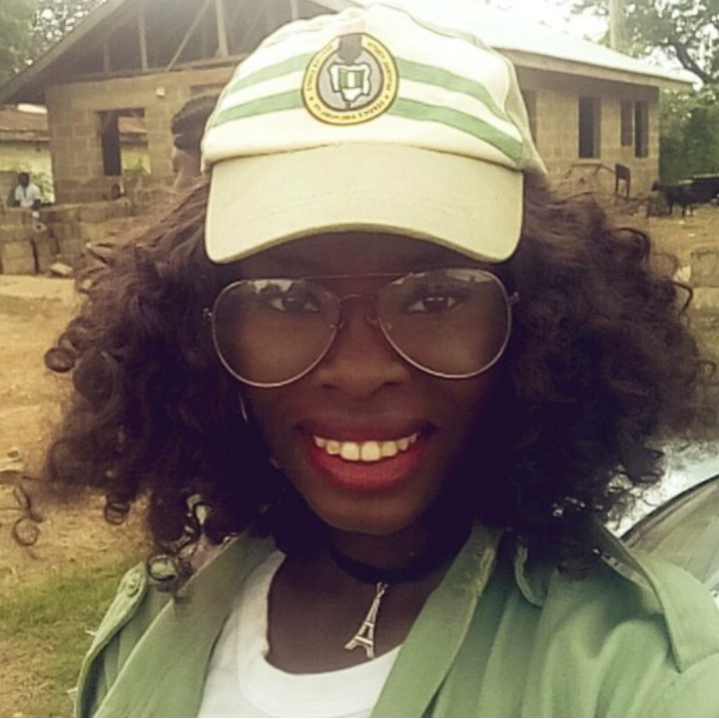 You can also find my Nysc camp experience here for your reading pleasure . If you made it this far, thank you for reading 😘. Wow!! Am really glad I participated,.I jus had time to read tru the post, it is really good. Am sure a lot of people would find the the post very insightful. 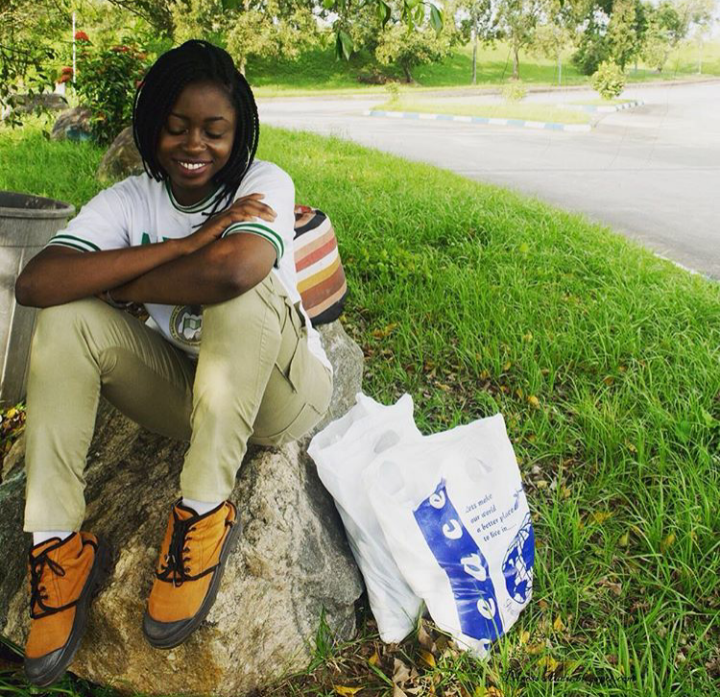 I really enjoyed reading about everyone’s NYSC experience, especially Ebun’s. Wow !, what an interesting post. I really love each one’s experience. Tonye more grease to your elbow. Pingback: When Life Gives You Lemonade… What went down in January? Hi Tonye, so sorry I’m just getting to this. This was a good read, seeing the different perspectives of people. I love how even thought the NYSC service year was different for everyone, we both took some out of it. However, I wish you had formatted all our fonts to aline. Either ways nice post, I’ll be sharing. Hello Sarah, Thank you for your comment and your contribution to this post. I’d try and align it now. Anyways, I’m having a bitter-sweet experience and I have about 6months to go, I honestly can’t wait to finish and go back to ‘my’ Lagos, lol. That person who said camp should be scrapped should comman collect ice cream from me. Like totes! And the person who said she’d not even think a out registering for NYSC if she had another chance to, spoke my mind completely. Beautiful post sistergirl. You did a great job. Well, well, well… I’m a bit scared now. All these people served in what I call ‘good’ states and I just got out of camp in Bauchi! If Ilorin is not cool, what will I do in Bauchi? Apart from enjoy the amazing cheapness of everything…. Nice post. I love the different views. I don’t have an NYSC experience yet but I have a camp experience and I’m writing about everything I got from being in camp. Please share. ← Absolute New York Hd flawless foundation and powder.